Origin: Native to Africa, temperate and tropical Asia, Australasia and the Pacific. 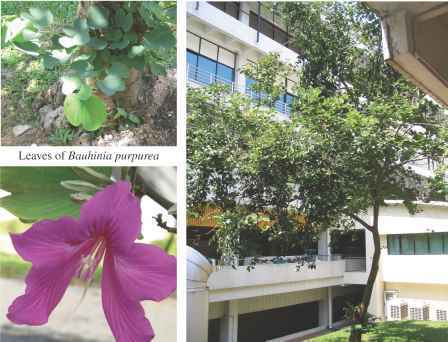 Traditional Medicinal Uses: The plant is widely used in the form of a decoction in Sri Lankan traditional medicine. The leaves and bark are used for rat and snake bites, rat poisoning and on boils. The fruits are used for cough, asthma and diarrhoea. Kernels of the drupe are mixed with milk to treat bilious diseases and jaundice whereas the seed has been used as an insecticide and tonic. 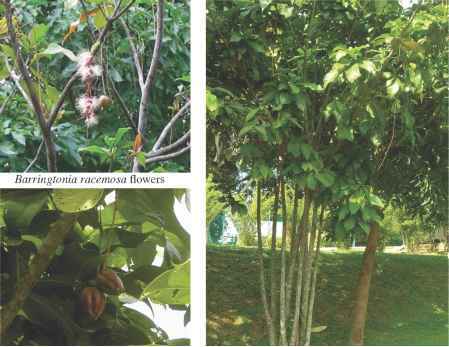 The seeds along with other ingredients are employed in preparations for the treatment of itch, piles and typhoid fever, while the bark is also used for gastric ulcers. Its roots act as a coolant and deobstruent. Pharmacological Activities: Antinociceptive,Antibacterial, Glucosidase and Amylase Inhibition, Anticancer  and Cytotoxic. Toxicity: Aqueous extracts (500, 750, 1000 or 1500 mg/kg) of B. racemosa bark in male rats did not produce any unwanted side effects or toxicity or alter fertility, gestational length, peri- and neonatal development and appeared to be non-teratogenic. B. racemosa seed extract was found to be devoid of acute and short-term toxicity to mice, when administered daily, intraperitone-ally for a fortnight up to a dose of 12 mg/kg. The treated mice showed conspicuous toxic symptoms only at 24 mg/kg. The LD50 of male mice for a single i.p. dose is 36 mg/kg. Origin: Native to India and grown in the Asia-Pacific as ornamental plants. Traditional Medicinal Uses: The root is grated with water and is drunk to treat common fever. The flowers are used as 1 axative and leaves applied to sores and boils, and for cough treatment. Pharmacological Activities: Antibacterial, Antifungal, Antimalarial, Cytotoxic, Anticancer, Anti-inflammatory Antinociceptive, Antipyretic and Thyroid hormone regulating. Origin: Originate from tropical America. Cultivated Pantropically. 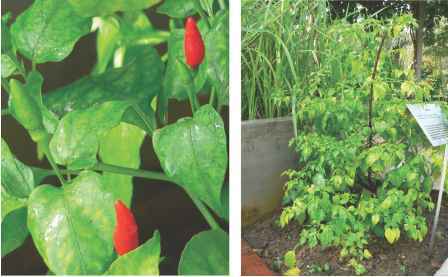 Traditional Medicinal Uses: The leaves have been used to treat snakebites and jaundice and the seed is considered a good cure for gonorrhoea. The bark of the root is used to treat fever and as an aperient. In Cambodia, the leaves are a popular febrifuge while in Indonesia, water in which the leaves are rubbed is poured over the head of children with fever. In Malaysia, the leaves are used in a postpartum medicine and in the Philippines the leaves are pounded in coconut oil and heated, then applied to the abdomen to relieve tympanites. Pastes of the fresh leaves are rubefacient and used in dysentery. In Vietnam, lotions or baths of leaves are used during fever. Its unripe fruits are emollient in leprosy. Alcoholic extracts of seed coat are taenifuge and laxative. Decoctions of barks are used for catarrh. 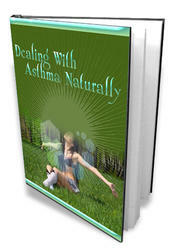 Infusions of seeds are used to treat asthma and excessive nasopharynx mucus production. Traditionally, it is also used as a gargle for sore throats and oral hygiene. In Trinidad and Tobago, the leaves and roots are used for hypertension, diabetes and jaundice. Leaves and seed pods are used as a female aphrodisiac. Dosage: Approximately 9 seed pods are boiled in 3 cups of water for 10 mins and drunk as a diuretic before each meal. 10 g powdered seed/40 ml oil for topical pastes. As a female aphrodisiac, 3 leaves in 0.5 L of water and red paste of seed pods. Adverse Reactions: Urticaria and angiooedema are possible adverse reactions with annatto dye. A patient developed these symptoms and hypotension within 20 min of ingestion of annatto containing fibres. Toxicity: Toxic to dogs dosed with 60 mg/kg trans-bixin. However, annatto containing 5% bixin was non-genotoxic and non-carcinogenic to rat livers even at the highest concentration tested at 1000 ppm (4.23 bixin/kg body weight/day). Annatto given through gavage to Wistar rats on days 6-15 of pregnancy showed no adverse effect on the mothers and foetus. Contraindications: Trans-bixin is hyperglycaemic and should not be ingested by patients with diabetes mellitus. Origin: It is found in Africa, tropical and temperate Asia, Australasia and the Pacific. Traditional Medicinal Uses: The whole plant is used as a crude drug for curing rheumatism and skin affections in South India. Its juice is a purgative and the seed oil is specific for rheumatism and various skin diseases (i.e., scabies, ringworm and dermatosis). The bark is used for internal haemorrhage and as an astringent. In Buso, Papua New Guinea, the milky latex from the leaves is diluted with water and the solution is applied to irritated eyes. The gum is emetic and purgative. Pharmacological Activities: Antibacterial,131'321 Anticancer/Antineoplastic, Anti-inflammatory, Antiplatelet^34,351 Antipsychotic^331 Antiviral,[1518'36-38] Photoprotective, Molluscicidal and Piscicidal. Origin: Originates from Indochina, Malesia and tropical Australia. Pharmacological Activities: Antibacterial, Antifungal, Antihyper-tensive, Antioxidant, Antineoplastic^'12'14'151 and Antiprotozoal. Toxicity: A 50% ethanolic root bark extract administered orally to male albino rats at the dose of 1 g/kg body weight/day for 60 days resulted in decreased epididymal sperm motility and sperm count, and morphological abnormalities in the sperms. However, it is non-toxic at the current level of intake as a food ingredient (0.0001 mg/kg/day). Although sometimes Ylang-Ylang oil has been reported to cause dermal sensitisation reactions in animals and humans, it is unclear what constituent(s) within the essential oil comprise the offending agent. Origin: Native to Mexico and South America, widely cultivated throughout the world. containing the fruit. The Commision E approved Capsicum annuum for painful muscle spasms in areas of shoulder, arm and spines. Preparations are used to treat arthritis, neuralgia, lumbago and chilblains. Dosage: Liquid extract is prepared by percolating 100 gm of the plant extract with 60 mg of ethanol, to be used as an antirheumatic. External daily dose of semi solid preparations containing maximum of 50 mg of capsaicin in 100 gm neutral base is also used as an antirheumatic and applied to the affected area not more than 3 or 4 times daily. Adverse Reactions: Internally, it may cause gastrointestinal cramping, pain, and diarrhoea. Topically, it may cause painful irritation of mucous membrane. Toxicity: Oral LD50 values for capsaicin are 161.2 mg/kg (rats) and 118.8 mg/kg (mice), with haemorrhage of the gastric fundus observed in some of the animals that died. However, capsaicin is considered to be safe and effective as an external analgesic counterirritant. Rabbits fed with C. annuum powder at 5 mg/kg per day in the diet daily for 12 months showed damaged liver and spleen. A rabbit skin irritation test of C. annuum fruit extract at 0.1% to 1.0% produced no irritation but caused neoplastic changes in the liver and intestinal tumours were observed in rats fed red chili powder at 80 mg/kg per day for 30 days. High doses administered over extended period of time can cause chronic gastritis, kidney damage, liver damage and neurotoxic effects. Contraindications: Should not be used during pregnancy and lactation, in people with hypersensitivity and in children. Should not be used on open wounds or abrasions, or near the eyes. Drug-Herb Interactions: Reported with concomitant administration with aspirin and salicylic compounds. 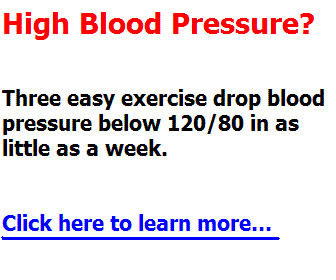 Decrease the actions of «-adrenergic blockers, clonidine (anti-hypertensive) and methyldopa (antihypertensive). Hypertensive crisis with monoamine oxidase inhibitors. popular remedy for constipation. [3,4] It is also used as a cathartic, for rheumatism and snakebite (pulp), treats bacterial infections (pulp mixed with leaves of Cassia angustifolia), liver complaints, heart disease, reduce fever, as abor-tifacient, demulcent and is useful in liver, throat, eye diseases, convulsions and sores. The seed is an emetic, carminative, appetiser, and is used for constipation, jaundice, cancer on face and syphilis. The roots act as a purgative while the rootbark is used for cleansing wounds. The root is also used as an astringent, tonic, febrifuge, for skin diseases, leprosy, tuberculous glands, syphilis and epilepsy. Pharmacological Activities: Antimicrobial, Anticholinergic, Antifertility, Anti-inflammatory, Antineoplastic, Antioxidant,[19-22] Depressant, Hepatoprotective,[24-26] Hypocholesterolaemic, Anti-leishmanial, Larvicidal and Wound healing. Toxicity: In cases of overdose or prolonged administration, loss of electrolytes, especially potassium ions, aldosteronism, albuminuria, haematuria, inhibition of intestinal motility and muscle weakness may occur. Rarely, cardiac arrhythmia, nephropathy, oedema, and accelerated osteoclasis may arise. Contraindications: Contraindicated with acute inflammatory diseases of intestine and appendicitis. Should not be used during pregnancy and while nursing. Should not be used in children under 12 years of age. Drug-Herb Interactions: Interaction with anthranoid laxatives. Enhancement of effects of cardioactive steroids may occur. Effects of antiar-rhythmics may also be affected. the Philippines, Jamaica, West Indies, South Africa, Southeast Asia, India and Queensland. [2'5-71213] The plant is also used for cold, cough, fever and bron-chitis. In Malaysia, the crushed leaves are applied to scalds, burns, sores, mumps, swollen neck, tonsillitis and insect bites. 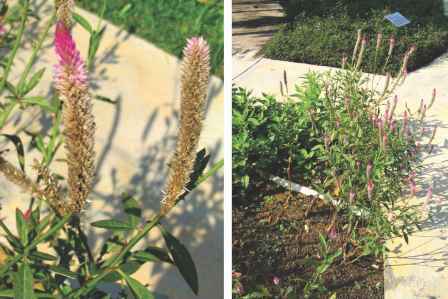 In Puerto Rico and Cuba, the flowers are decocted and used as an eyewash. Dosage: Leaves are useful in treating oliguria, haematuria, diabetes mellitus, and menstrual disorders in a daily dose of 4 to 8 g as a decoction or liquid extract. 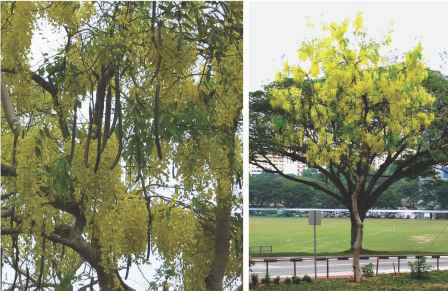 A decoction of 30 g of the plant is taken for diabetes, dysentery, enteritis, menstrual pains, hypertension, insomnia and cancer in Malaysia. For the treatment of cold and sore throat, tea is made from 9 pink flowers in 1 pint of water and sipped throughout the day. 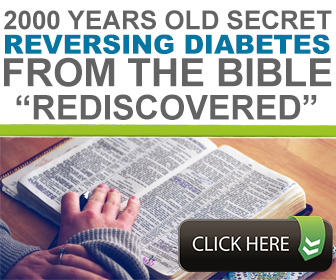 Dilute infusions of roots are used to treat diabetes. 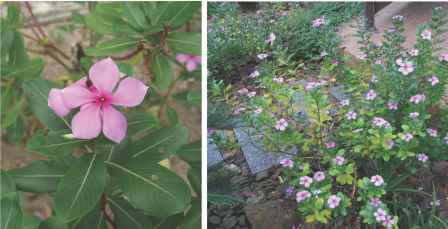 Adverse Reactions: Catharanthus roseus pollen can trigger IgE-mediated respiratory allergy in the people living in close proximity. and liver ailments in Yunnan, China and also for the treatment of mouth sores and blood diseases and used as an aphrodisiac. The petioles are used to treat sores, wounds, boils and swellings/4,15 The seeds are used for the treatment of conjunctivitis and hypertension. In China, the seeds are used for haemorrhage, menorrhagia and opthalmia. 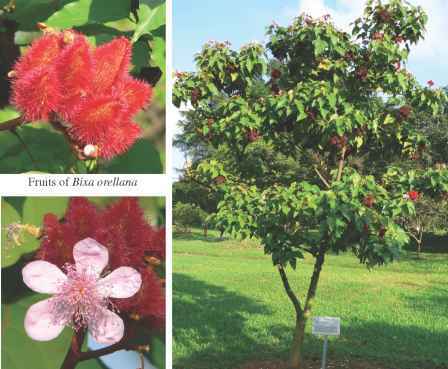 [5,12,14] In Indonesia, the flowering tops are used for bleeding lungs whereas in Malaysia, the red flowering tops are prepared as decoctions which are given in cases of white discharges, excessive menstruations, haematuria, dysentery, proteinuria, bleeding piles and bleeding nose. Pharmacological Activities: Antibacterial/15] Antimitotic/19 Antineoplastic/15 Diuretic, Hypoglycaemic, Hepatoprotective,[11,19] Immunomodulatory/5,17,25 Cytoprotective and Wound healing. Contraindications: Leaves should not be eaten by menstruating women. Drug-Herb Interactions: No information as yet. Dosage: Approximately 0.6 g dry weight of whole plant taken three times a day (condition not indicated).1 Larger amounts of fresh leaves are sometimes eaten as vegetable and dietary supplement. 60 mg of C. asiatica extract given daily for varicose veins. 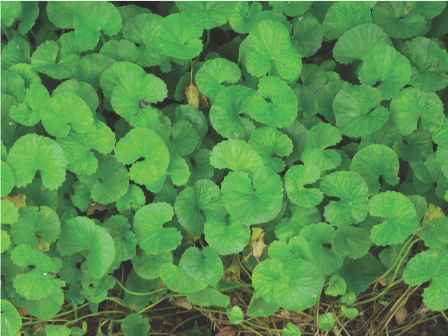 30 or 60 mg of Total Triterpenic fraction of Centella asiatica (TTFCA) three times a day for improving venous hypertension.™ Titrated extract of C. asiatica given 60 or 120 mg daily for chronic venous insufficiency.™ For the treatment of fever, measles, haemate-mesis, epistaxis, diarrhoea, dysentery, constipation, leucorrhoea, jaundice, dysuria, furunculosis, dysmenorrhoea, varices, daily dose of 30 to 40 g of fresh plant in the form of extracted juice or decoction is taken. Adverse Reactions: Allergic contact dermatitis.™ Sedation, increased blood glucose and cholesterol levels. Contraindications: Should not be used during pregnancy and lactation and not to be given to children. Drug-Herb Interactions: Reported with ephedrine, theophylline, atropine and codeine. Decrease effectiveness of antidiabetic and antilipidemic drugs. What causes clitorinS to swell and itch?